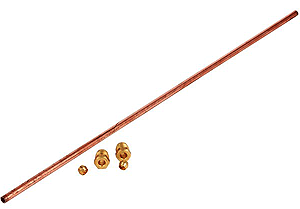 Copper 15 inch fuel line for the carb to fuel pump. This is a basic fuel line that you will have to shape accordingly. For the 1932-53 Ford flathead V8 engine.